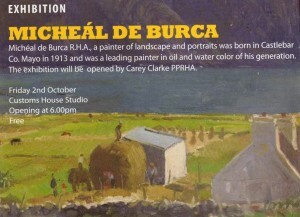 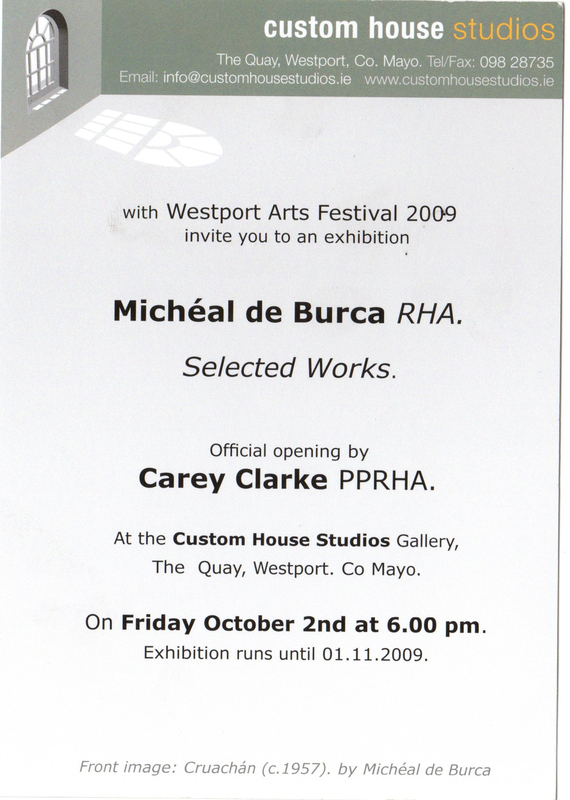 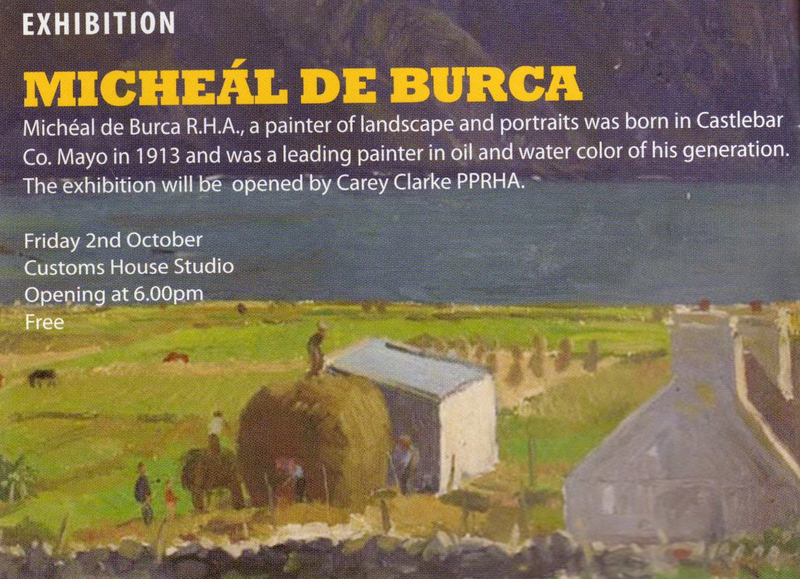 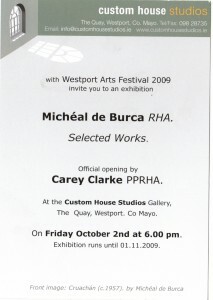 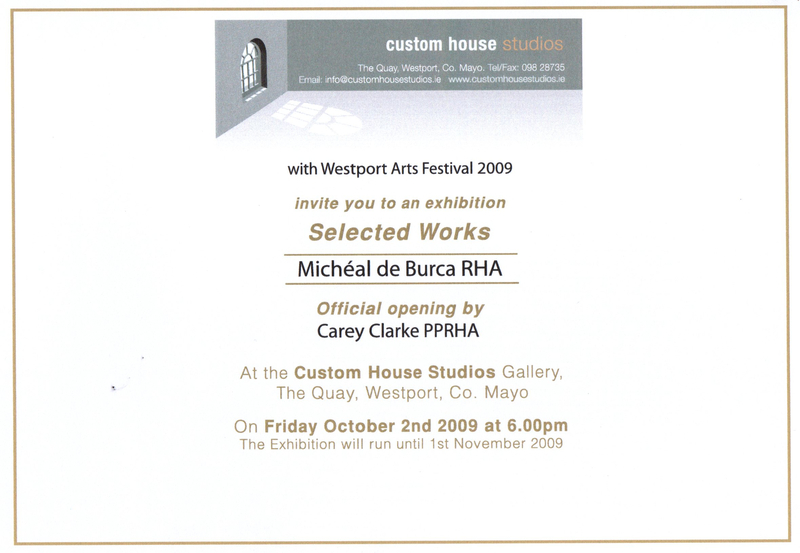 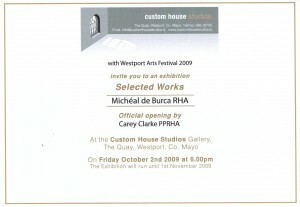 This is the Programme of Events for the 2009 Westport Arts Festival of which the Micheál de Búrca Customs House exhibition was a part. 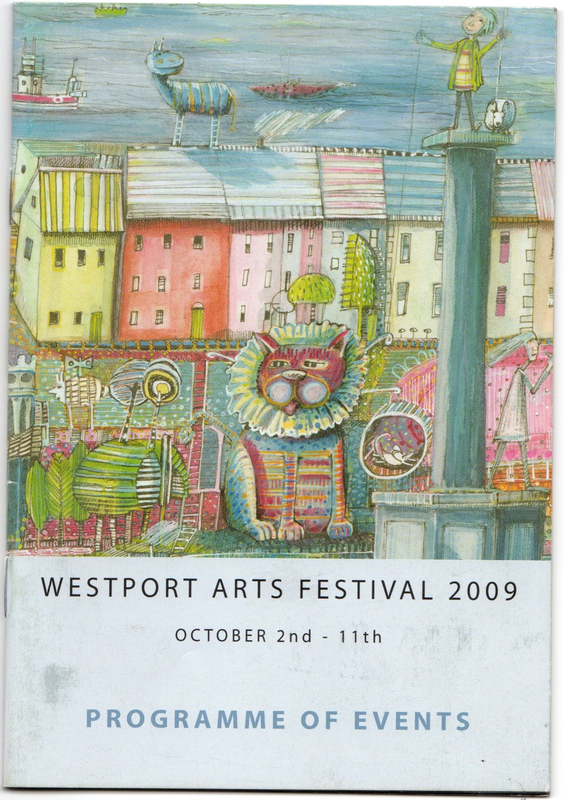 This is the first page of the Programme of Events for the 2009 Westport Arts Festival. 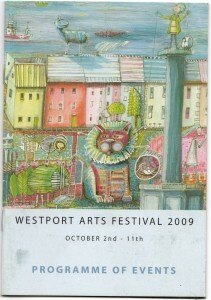 Westport Arts Festival Customs House Gallery programme.